I love posting dishes like this! What could be better than restaurant classic that you can make from scratch in less time than it takes to get delivery? 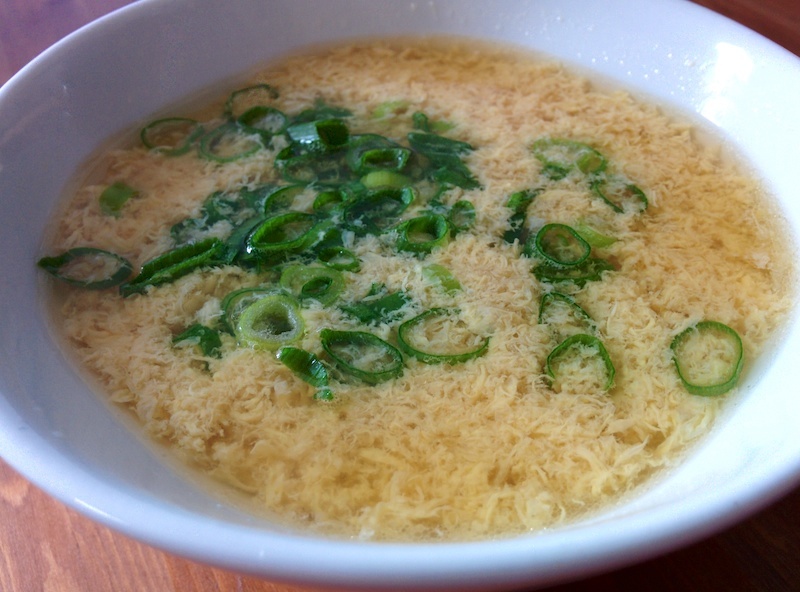 If you’ve never had egg drop soup, the texture of the egg will surprise you. It’s incredibly delicate and not at all what you might think. Place a large pot on medium heat and add the oil. When the oil is hot, add the ginger and garlic, stirring constantly for 30 seconds. Add two cups of chicken stock to the pot and bring the heat to high. Reduce the heat to simmer for ten minutes. Strain the stock in the pot, discarding the garlic and ginger. Return the stock to the pot and add the remaining four cups. Stir in the fish sauce and bring the heat to high until a boil is reached. Remove the pot from heat and whisk in the eggs. Stir in the pepper and salt to taste. Serve garnished with the green onion.